The GET FiT secretariat in Zambia, which is managed by Multiconsult, in collaboration with the Ministry of Energy and other local stakeholders, plans to launch a Prequalification Procedure in the fourth quarter of 2018 for the procurement of 100 MW of small hydropower capacity. 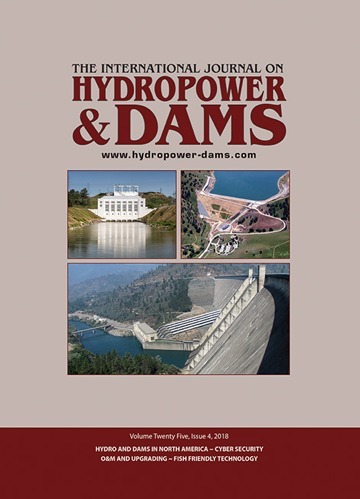 The prequalification process for small hydro projects, with individual installed capacity up to 20 MW, will be followed by up to three successive Requests for Proposal (RfP) between 2019 and 2020 to award the full 100 MW of capacity, according to an announcement in September made by the GET FiT secretariat in Zambia. Additional Prequalification Procedure rounds may be implemented in 2019 as required, the secretariat added. Prequalified developers will be eligible to apply for feasibility study rights for projects, which will be issued through the Ministry of Energy in line with a process currently in the final stages of preparation. Renewable energy feed-in tariffs (REFiTs) for small hydro projects are currently being developed by Zambia’s Energy Regulation Board (ERB) with support from Power Africa’s Southern Africa Energy Program and GET FiT Zambia. These REFiTs will be the base tariff used in power purchase agreements (PPA) for projects supported under the GET FiT small hydro tender. Developers with existing feasibility study rights will retain their rights. However, they must either prequalify or partner with a prequalified developer if they wish to become eligible for the RfP and receive support through the GET FiT Zambia programme. It is envisaged that developers will be able to obtain feasibility study rights for two projects and, in cases of relevant, verifiable project experience, for up to three depending on the verifiably available capital for project development. The financial minimum criterion will require applicants to provide evidence of available capital of US$ 200,000 per project for bringing a small hydro project to full feasibility stage level. The GET FiT programme is being jointly developed and implemented by Zambia’s Ministry of Energy and German development bank KfW to assist the Zambian government’s REFiT strategy. In line with this strategy, GET FiT Zambia aims to procure 200 MW of renewable energy within the next three years. The initial phase of the GET FiT Zambia programme was launched in early 2018 with a tender for up to 100 MW of solar PV capacity. Subsequent tenders could call for other technologies including biomass and geothermal. A private sector pre-tender launch event and E&S workshop for interested developers is scheduled to be held in late October or early November at which agreed REFiTs will be presented. This launch event will also cover the prequalification criteria, tender framework, and legal documentation. Projects supported under the GET FiT Zambia Small Hydro Tender will need to comply with IFC Performance Standards during all phases of preparation, implementation and operation of the projects. Compliance with IFC Performance Standards will be a key requirement for the RfP and will be closely monitored by KfW and the Implementation Consultant. GET FiT Zambia will host a workshop on IFC Performance Standards the same week as the private sector pre-tender event. Wärtsilä shares its experience and solutions for common causes of hydro shaft seal failures. 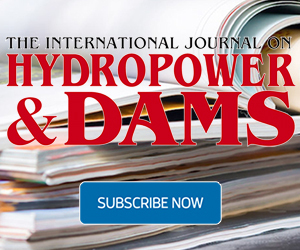 French hydropower producer Compagnie Nationale du Rhône (CNR) has launched an international tender to identify companies or consortia able to supply and install electro-mechanical equipment and a fishpass for a small hydropower plant to be built at the site of the Vallabrègues dam in the southern department of Gard. Pre-qualification applications are sought by 15 November.